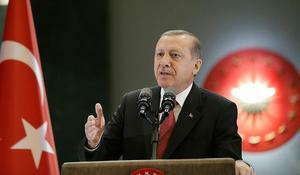 Armenia, which is a hostage of the Armenian diaspora, has isolated itself from all energy, transportation and other regional projects, Turkish President Recep Tayyip Erdogan said on December 7. 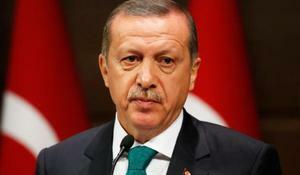 Turkish President Recep Tayyip Erdogan held a telephone conversation with the head of the Russian Federation Vladimir Putin, Turkish media reported. 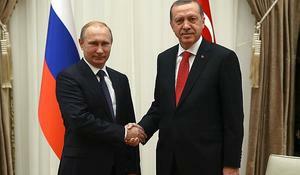 The upcoming talks between Turkish President Recep Tayyip Erdogan and his Russian counterpart Vladimir Putin right after Turkish leader’s meeting with U.S. President Donald Trump piques international community’s interest. 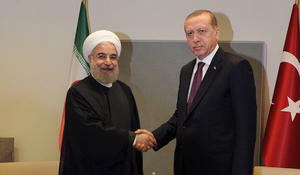 Iranian President Hassan Rouhani and his Turkish counterpart, Recep Tayyip Erdogan, at a meeting in Astana on Sunday evening called for expansion of bilateral ties. 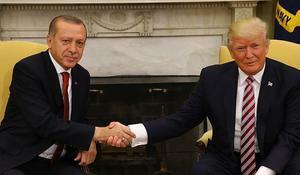 Turkey's President Recep Tayyip Erdogan had a phone conversation with U.S. President Donald Trump on Saturday, according to Turkish Presidency, Anadolu reported. 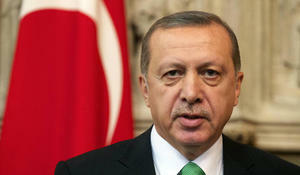 President Recep Tayyip Erdogan said Monday that some EU countries could not tolerate Turkey's rise as an emerging power, and accused them of working against the "Yes" vote in Turkey's April 16 constitutional referendum, Anadolu reported. 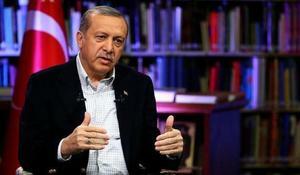 The continuing occupation of Azerbaijani lands by Armenia slows the economic development in the South Caucasus region and creates obstacles for effective cooperation between countries of the region, said Recep Tayyip Erdogan. Turkish President Recep Tayyip Erdogan believes that Turkey, Saudi Arabia, and the international coalition forces should work together on fighting ISIS terror in the Middle East. A car bomb attack on a bus carrying off-duty military personnel killed 13 soldiers and wounded 55 in the central Turkish city of Kayseri on Saturday, an incident President Recep Tayyip Erdogan blamed on Kurdish militants, Reuters reported December 17. President Recep Tayyip Erdogan reiterated his call for a “terror-free zone” in the northern part of war-torn Syria on Saturday, Anadolu reported.